Utility bills hurt! Ouch! In addition to depleting your wallet’s hard-earned resources, our current reliance on non-renewable energy sources has two major undesirable effects: Global warming and an unprecedented annihilation of natural resources. Imagine living in a room full of Carbon Dioxide. As your thoughts rage toward gasping a breath of fresh Oxygen, imagine a scenario where the entire world is encased in a bubble of Carbon Dioxide. That is exactly what the current energy resources are doing to our planet. The process of extracting and using them causes high levels of Carbon Dioxide to be emitted into the earth’s atmosphere. In addition to their abundant natural occurrence, these resources are renewable and cause no known harmful effects to the earth’s atmosphere. What’s better? You can actually wish your utility provider “good riddance” once and for all. In fact, many homes are installing solar-powered cells on their roof tops for precisely that reason. Others are signing-up with utility providers that tap into these natural resources. 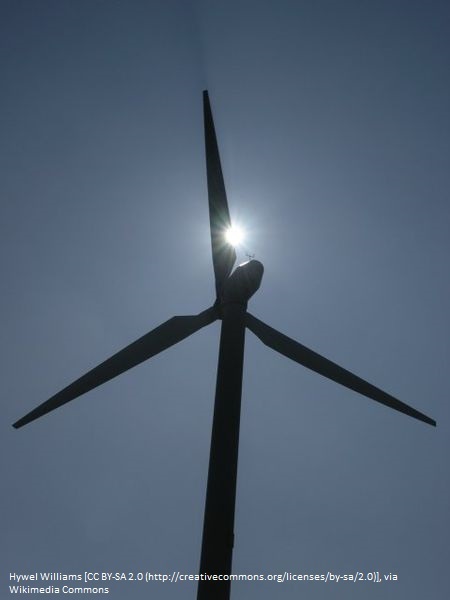 Nuclear energy and wind-powered energy are difficult for an average home owner to harness—unless, of course, you have a large property that is regularly graced by high speed winds that could power wind mills. So, which alternative energy sources are easier for an average home owner to tap into? Sun power or solar energy. Of the contemporary alternative energy sources, solar power appears to be the most promising. In fact, solar power is so easily accessible, small appliances, such as flash lights and hurricane lights, are hitting the market, with solar-powered batteries. In future, we will probably use most of our home appliances powered by sun (solar) energy exclusively. You don’t have to wait, though. Many home owners are opting to install solar-powered panels on their roof tops and these individuals are generating their own electricity without having to pay a provider. Some DIY (Do-it-Yourself) property owners are installing their own panels (not recommended unless you know what you are doing) and there are plenty of resources to guide you through the process. Others are hiring experts to do the installation work. Irrespective of the approach you decide, the most critical component of the process is to ensure the solar panels receive adequate sunlight are not unduly obstructed. As adoption of solar energy increases, the overall costs have dropped. Despite the price reduction, it could still cost thousands of dollars if you choose the professional installation route. If you are paying a few hundred dollars every month in electric bills, you may stand to gain from installing solar panels. The system would pay for itself within a few years. Furthermore, many companies allow you to install the alternative energy resource for $0 down. 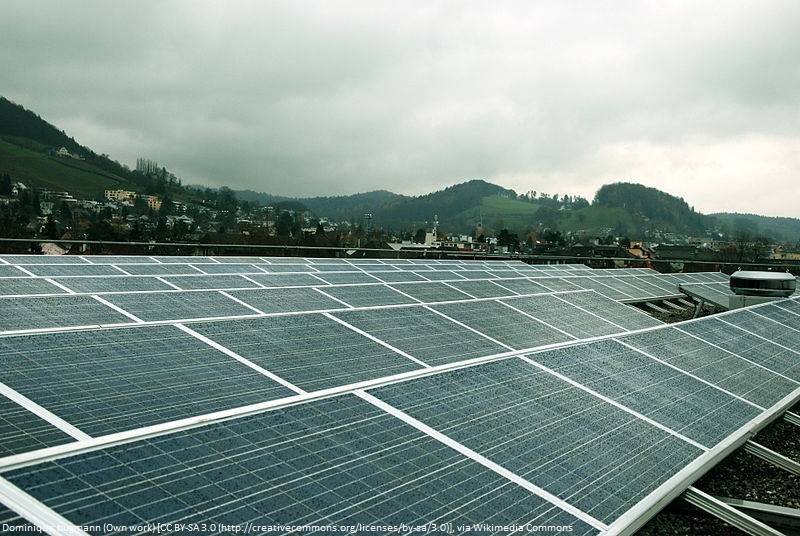 Many states offer incentives for the adoption of solar energy as well. You have the option of leasing the solar system (versus owning it yourself), if that is the way you choose to go. How much does a solar panel really save you every month? The answers vary and depend on your consumption needs and other factors, but optimistic estimates provide a near fifty percent (nearly half) savings every month. What are some of the pros and cons of solar energy as an alternative renewable source of energy? (i) The ability to go off-grid. You can install solar panels and quit depending on utility suppliers once and for all. An off-grid lifestyle is making a strong comeback these days and solar powered energy is probably the easiest way to break dependence on grid-based energy supply. (ii) Huge environmental impact. Using alternative energy resources reduces Carbon Dioxide emission into the atmosphere, minimizes pollution, and cuts global warming. (iii) Cost savings. Depending on your location and energy consumption patterns, sunpower energy could save you fifty percent or more every month. If you live in a remote location, the cost savings add up even further. (iv) Accessibility. No matter where you are located, you can harness this renewable energy resource as it depends on availability of sunlight. (i) Initial cost outlay. Solar panels or cells cost dearly and the initial installation cost could run into thousands of dollars. (ii) Availability of sunlight is a cause of concern. If the location where the solar panels are installed do not receive adequate sunlight, the production of natural energy could be diminished. Furthermore, since the panels are dependent on naturally-occurring sunlight, there could be some hours during the day when electricity production could be impacted. Weather fluctuations have an adverse effect on energy production as well. Additionally, weather fluctuations and pollution levels have an impact on energy production as well. How can you tap into other forms of renewable energy? Unless you live in a large area where you can install a small-scale, wind-powered electricity production plant, wind farms offer the next best alternative. 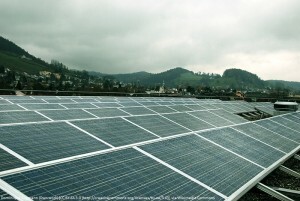 They offer similar advantages to solar power, and initial costs are a concern as also the potential damage to wildlife. This entry was posted in Budgeting, How To, Save Money on April 18, 2015 by dontspendmore.